Do you need certification for the workplace? Do you want to have the skills to help during a choking emergency or if a loved one is unconscious and not breathing? Get certified and learn the latest rescue skills including how to use an automated external defibrillator by enrolling in a Ontario WSIB approved course in Hamilton. 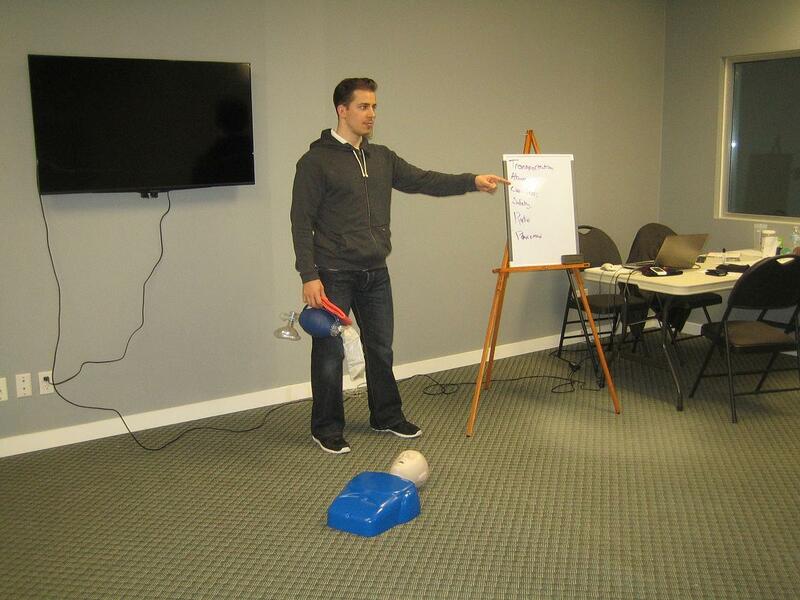 The largest and most popular provider of these certification courses is Hamilton First Aid. Customers also have the opportunity to register for food safety certification and a variety of workplace safety programs. Boost your resume, learn the latest skills and learn workplace safety by enrolling in a classroom or on-lien course today. Visit the Hamilton First Aid here for more details or to view the upcoming schedule of courses. Registration can also be completed using the contact information posted below. Enrollment at Hamilton First Aid is very fast and hassle-free. You can conveniently register through a variety a methods including email, on-line chat, telephone or on-line through the website contact information provided below. Register for a course today as space is limited. 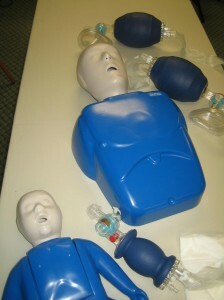 These topics and more are covered in a Ontario WSIB approved standard first aid and CPR course with Hamilton First Aid. Participants that take First Aid training in Hamilton will practice CPR techniques using bag-valve masks and mannequins. What Certification Courses Are Available? Participants have the option of registering for a wide range of workplace first aid, safety and food handling courses. For more information about these courses or to register use the contact information posted above. workplace approved certificate cards are awarded to students who are able to complete a program or class. These are wallet-sized but wall-mount sized ones are also available. You can request the bigger certificates while you enrol. These certificates are only valid for three years but are renewable within that time. Recertification is offered for renewal of expiring certificates. The renewal / re-cert classes are 8 hours long for standard first aid. Check the prerequisites prior to registering for a course. Appendicitis is a common emergency that needs immediate medical treatment. It is an inflammation of the appendix that can be caused by obstruction or an infection. The appendix is sac like structure located at the junction between the large and small intestine called the cecum. If it becomes inflamed, it can cause severe pain starting from the right lower quadrant of the abdomen, and then radiates to the rest of the abdomen. The pain becomes worse over several hours. A symptoms called rebound tenderness is felt when the pressure is released from the area.